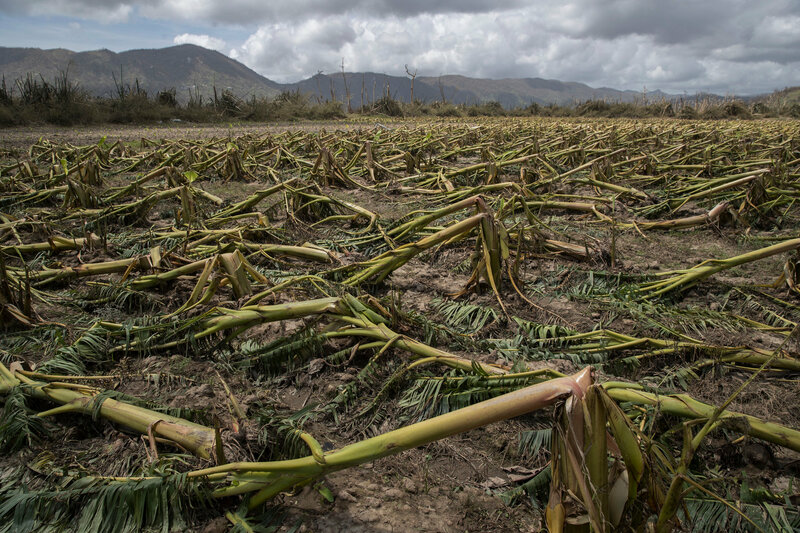 Across the island, Maria’s prolonged barrage took out entire plantations and destroyed dairy barns and industrial chicken coops. Plantain, banana and coffee crops were the hardest hit, Mr. Flores said. Landslides in the mountainous interior of the island took out many roads, a major part of the agriculture infrastructure there. For over 400 years, Puerto Rico’s economy was based on agriculture, historically focused on sugar cane, tobacco and citrus fruits. The island’s economy rapidly industrialized after World War II, leading to the downfall of agriculture production. In recent years, in part because of the island’s economic recession, people went back to the fields, and the industry is going through a small renaissance, growing at 3 to 5 percent every year over the past six years, Mr. Flores said. A growing farm-to-table movement has generated optimism in recent years about an agricultural rebirth. Puerto Rico already imports about 85 percent of its food, and now its food imports are certain to rise drastically as local products like coffee and plantains are added to the list of Maria’s staggering losses. Local staples that stocked supermarkets, school lunchrooms and even Walmart are gone. Mr. Ortiz, 80, said he had been working these fields for seven decades. He has lived through his share of hurricanes, including Georges, which wiped out the local sugar refinery in 1998. Mr. Flores said much of the traditional agriculture in the island had depended on energy-inefficient practices that waste too much water and produce large amounts of waste. 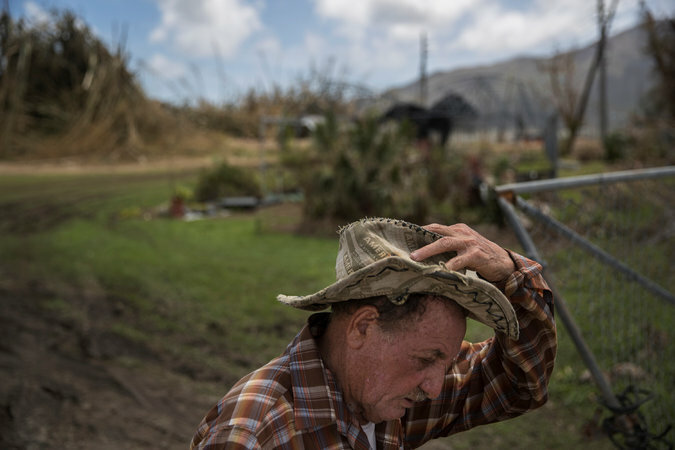 Federal funds that will help farmers rebuild infrastructure damaged by the hurricane will present an opportunity to improve the industry, he said. Puerto Rico currently imports about 85 percent of the food it consumes and exports only 15 percent of what it produces, according to the government. Puerto Rico, Mr. Bhatia said, could service a growing demand for organic foods in the mainland United States. He estimated it could take at least a year to get the industry back up and running, as the soil recovers and farmers replant trees. Mr. Pinto, 62, drove to the capital last week to stock up on vegetables to sell at a kiosk he runs with his wife. He did so because his 14,000 plantain trees are all dead and he had nothing of his own to sell. Mr. Pinto also lost all of his cattle. Literally. He does not know where they are. Frances Robles reported from Yabucoa, P.R., and Luis Ferré-Sadurní from San Juan, P.R. This entry was posted in food and other products grown in Puerto Rico, Hurricane Maria and after effects and tagged agriculture, crop, crops, economy, farm, farmer, farmers, farming, food, Hurricane Maria, industry, production, Puerto Rico, supply. Bookmark the permalink. 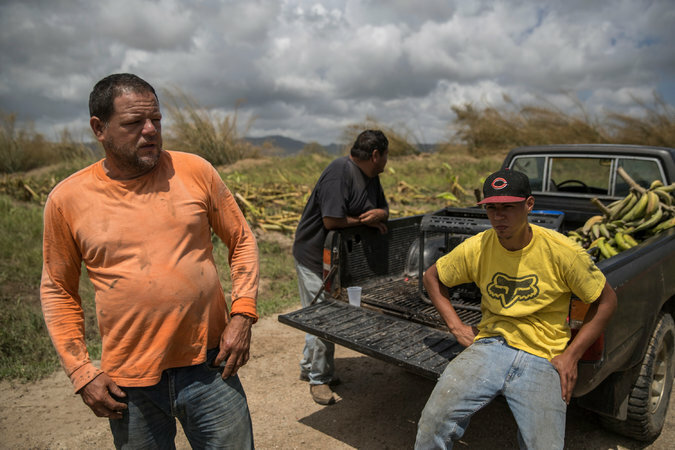 Rebuilding PR’s agriculture will play a large part in Puerto Rico’s Renaissance.